Record customer interactions to include investigation, troubleshooting, and the resolution of issues Work closely with Red Hat's production support engineers, technical account managers, and development engineering. Demonstrate considerable judgement in selecting methods and techniques. Manage workload to ensure all customer issues are handled and resolved in a timely manner. Assist in the development of comprehensive and reusable self-service solutions for future incidents. Assist in patch development (simple cases) and write debug patches. Ability to read and understand programming code. Ability to follow documented processes, including KCS and SBR. Good understanding of open source, GPL, Bugzilla, and upstream development. Remain courteous and professional at all times. Ability to disseminate knowledge to junior members of the team. Proactive and passionate about your work. 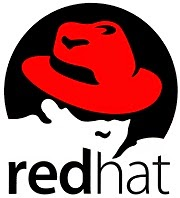 0 on: "Freshers Hiring For Associate Software Maintenance Engineer at Red Hat in Pune"